Everyone knows there’s no place like home. If you’re thinking about designing a custom home, it’s natural to want to ensure that it’s just right for you. The beauty of working with custom home builders is the flexibility you have in the early stages of building. Good custom home builders will enable you to move into your dream home. If you’re ready to take the next step, it’s always a good idea to ask questions before you make any final decisions or sign any contracts. Here are some important questions to ask your Florida home builders. How much control will I have over customization? The main advantage of building over buying for most people is the opportunity to create a custom home. If you have grand plans, and you really want to put your stamp on a new house, it’s important to find out more about just how much you can customize the property. 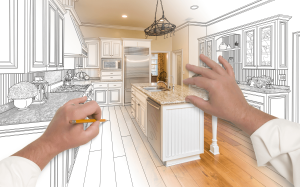 Some custom home builders may offer a service from scratch, but others might only offer options such as changing the layout or making cosmetic alterations. Can I take a look at references and reviews? If you’re looking for reliable Lake County custom home builders, ask to see a portfolio, read references, and take a look at client reviews and testimonials. Before you sign on the dotted line, make sure you’re aware of how long the build will take, so that you have an accurate idea of how long you’ll have to wait to move into your new home. This will help you plan and find alternative arrangements if you have already sold your house, or you’re currently renting and your contract expires before the scheduled move date. Does the property come with a warranty? Most new construction homes come with a warranty, but it’s always wise to check the details and ensure you know exactly what is covered by the warranty. If you’re counting down the days until you have those keys in your hands, the last thing you want is unexpected delays or complications. Unfortunately, sometimes, things don’t go as planned. If the weather changes, for example, and it starts raining cats and dogs, this could affect the anticipated build time. It’s crucial to ask your builder what would happen if there was a delay or a bump in the road. You want to make sure that the home building company you choose is able to respond to problems quickly and efficiently. Many people choose to buy a new home after seeing a show home or detailed plans for new properties. Before you start talking about your custom home, make sure you know what is included in the purchase price. You might find that the show home has additional features that aren’t included in a standard package. Building often offers a host of benefits for prospective homeowners, but it is important to know exactly what you’re buying and how much control you have over the plans. Strata Builders are your top rated home builders in Florida. If you’ve decided you’re ready to get started, give us a call today at (352)-254-5241!